“Technology,” says Sherry Turkle, “catalyzes changes not only in what we do but in how we think.” And, if society isn’t careful, it may also signal a future in which we lose a vital aspect of our very humanity, being the way in which we connect interpersonally with others. As a Radcliffe and Harvard-trained clinical psychologist and sociologist, Dr. Turkle has studied both the promise and dangers of human relationships with technology — especially computers — for more than three decades, most recently as the Abby Rockefeller Mauzé Professor of the Social Studies of Science and Technology in the Program in Science, Technology, and Society at Massachusetts Institute of Technology. She is also the founder and current director of MIT’s Initiative on Technology and Self. In 2011, Dr. Turkle’s highly regarded work “Alone Together: Why We Expect More from Technology and Less from Each Other,” showed how the technological developments that have most contributed to the rise in global interconnectivity have, at the same time, created and bolstered a sense of alienation among people. Although originally developed as a tool to help us calculate faster, write more efficiently and communicate more broadly, the computer today — in all its many forms and extensions — has become, in Professor Turkle’s words, the “architect of our intimacies,” changing the way parents relate to their children, how friends interact and, in fact, who we are: a society that increasingly prefers social media over social interaction, texting over talking, and virtual worlds over the real thing. Professor Turkle has explored the impact of evolving technologies on adolescents, who, she asserts, suffer most from our growing “addiction to the Internet.” Her work illustrates how the explosion of mobile devices, social media and other technological means of communication has contributed to the ongoing erosion of important face-to-face connections that previous generations used to learn how to develop skills of negotiation, read others’ emotions and deal with the complexities of confrontation. Dr. Turkle frequently speaks to these issues in her role as a featured media commentator on the social and psychological effects of technology. She has appeared on most national news programs and delivered two acclaimed TEDx talks. A member of the American Academy of Arts and Sciences as well as a former Guggenheim and Rockefeller Humanities Fellow, Dr. Turkle is the author of a series of books that explore human interaction with technology, including 1984’s “The Second Self: Computers and the Human Spirit.” Still regarded as an essential primer on the psychology of computation, it distills dozens of interviews with children, college students, engineers, scientists pursuing artificial intelligence and even hackers to reveal how humans regard computers as existing in a special place between inanimate and animate, at once a part of the external world and an extension of self. 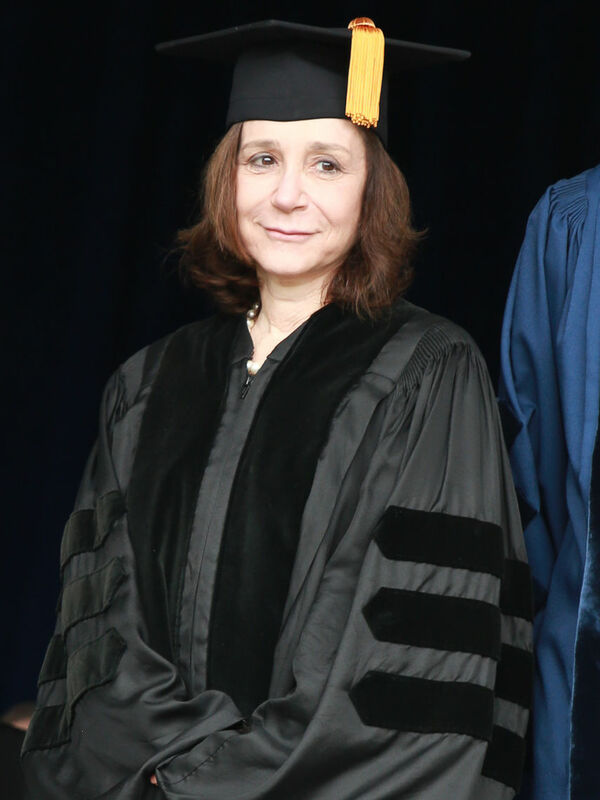 Sherry Turkle, for your achievements in the field of psychology, your contributions to the understanding of how people choose to interact with technology, and for your ideas about how computers affect both the way we think and see ourselves as humans, Franklin & Marshall College bestows upon you the Honorary Degree, Doctor of Science.